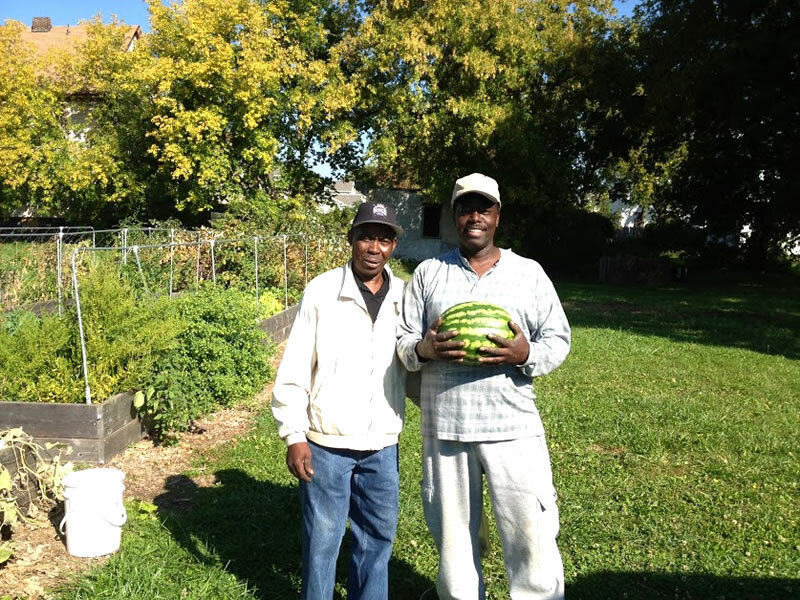 The Jubilee Homes’ Southwest Community Learning Farm and Urban Delights are innovative projects, run by Jubilee Homes of Syracuse, Inc. with the help of Cornell Cooperative Extension of Onondaga County. Each project provides youth from the inner city with employment opportunities while simultaneously promoting good citizenship and positive environmental practices. The purpose of each is to (1) increase food security, (2) promote positive youth development, (3) improve the use, environmental and aesthetic quality of vacant land, and (4) enhance community awareness of the importance of green spaces as well as healthy and nutritious food choices. The farm is approximately 1 acre, and has been broken into two sides. The “Commercial” side focuses on growing produce that Urban Delights will sell at the Downtown Farmers’ Market, to neighborhood residents, and now restaurants. The “Community” side has been designated to community members who are interested in cultivating produce in their own space. Each member has an assigned raised garden bed where they are free to grow what they please. The Learning Farm had its first growing season in 2011, and has since been successful in producing crops such as cabbage, collard greens, red and yellow raspberries, green beans, beats, basil, peppers, sun flowers, squash, and a host of other items. The JH Southwest Community Learning Farm is currently made up of 12 separate parcels. If you need to find the Learning Farm feel free to use 249 Lincoln Ave Syracuse, NY 13204 as the address. The Jubilee Homes office is located at 119 South Ave Syracuse, NY 13204. For more information on how to get a raised bed, volunteer, donate, or if you would like more information about what we do, please call Kristina Kirby or Walter Dixie at 315-428-0070.